What is purpose of APQP? This is applicable to all products/ manufacturing process development activities & revisions in existing products/ manufacturing processes (e.g. Changes in product specification requirements, raw material to be use, product out of current manufacturing range etc.). What will be inputs of it? Customer requirements of product. Manufacturing feasibility, previous product/ process development experience, similar application products being manufacture etc. The Activity of APQP is carry out for any special customer requirements receive. Where entire manufacturing process cycle need to be establish. APQP is carry out through different phases. After receiving the inquiry for development of new products, immediately following actions are to be initiate. A cross functional team generally comprising of personnel from production, QC, Purchase, Planning and marketing is form. One team leader is to be nominate, the team should define the scope considering customer need, expectations & requirements. Defining customer requirements specific to product performance. 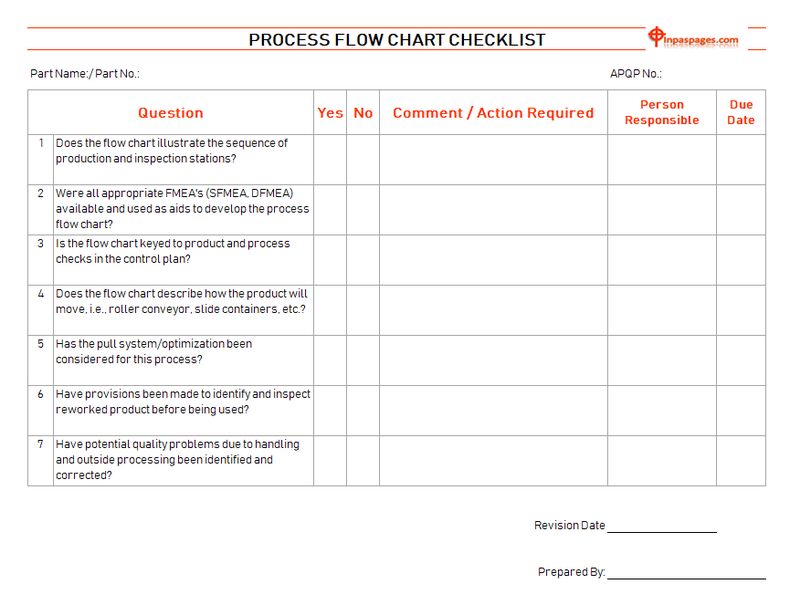 Preliminary process flow charts for product manufacturing Preliminary listing of special product & process characteristics. Initial risk evaluation is done to ensure that risks encounter are considerable. In the second phase of product design & development following outputs are to be generate. Customer drawings / specifications review is complete resulting in finalize product drawing/ specifications. Special product and process characteristics are document. Prototype control plan, if prototype is to be develop. (If specify by the customer). New equipment, tooling, and facilities requirements are review. Gauges / testing equipment requirements, if any are review. Team feasibility review report shall be sign by all team members, on review as above i.e. once feasibility of product manufacturing is ensure. In the third phase of process design and development, the inputs from the second phase are to be taken in order to generate the following outputs. Packing standards if specify by customer and different from existing packing. Product / process quality system review is carry out. Process flowchart if being different from existing process is prepare. Floor plan layout if existing floor plan needs some modification for manufacturing, new part family or new type of machine / equipment is to be made available. PFMEA, if new PFMEA is to be prepare or existing PFMEA needs revision for new product development. Process instructions, if any new process is to be develop or product specific care is to be taken during manufacturing. Measurement system analysis plan, if new measurement system is to be use.Preliminary process capability study, if applicable. Review all above mention activities to ensure management support. In the fourth phase of product and process validation, the inputs from the third phase is taken in order to generate following outputs Production trials run. Measurement system evaluation, if new / non – evaluate measurement system is involve. Preliminary process capability study. Production part approval. Sample performance test if require. Packing evaluation, if new packing is to be use. Quality planning sign- off and management support is ensure. Manufacturing process conformance is ensure. Process specifications as refer in control plan (e.g. draw bench speed, Annealing temperatures etc.) are finalize once process sign off is over. Reduce variation through appropriate SPC tools to demonstrate stable process, where applicable. Customer satisfaction through approvals from customers & regular supplies. The progress of APQP will be review in the management review meeting. What is output of this process? Product & manufacturing processes validate with respect to customer requirements.